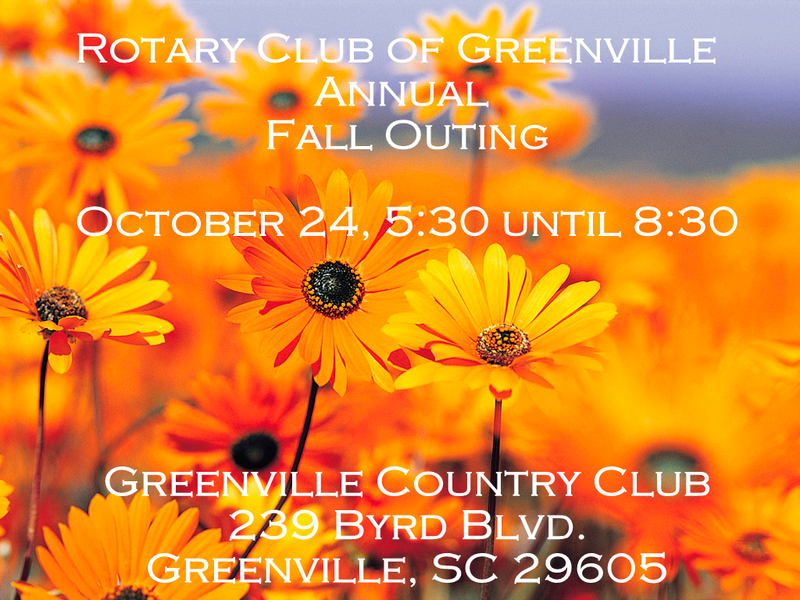 Be sure to join us for our club’s annual Fall Outing. This year we will be enjoying the new facilities of the Greenville Country Club. Great food, drink, and good friends are on the agenda….as well as a few give-away’s and great entertainment. 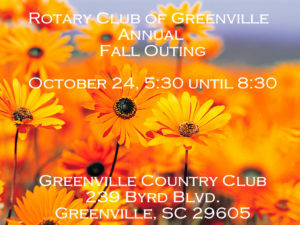 Club members attend free, and guests are only $15. Prospective members attend free too! Make sure to register soon!